Sleep apnea can be complex to understand, mostly due to the complicated words that are thrown around. Unfortunately, even some medical providers can misunderstand the meanings of various diagnoses. This can lead to costly and unnecessary testing and treatments. It is very important to understand the symptoms and signs of one diagnosis in particular: complex sleep apnea. What is complex or treatment-emergent sleep apnea? Learn about this condition, the features and causes, how it is diagnosed, and the most effective treatments (and if treatment is even necessary). Complex sleep apnea is also referred to as treatment-emergent central sleep apnea, and this is actually a helpful phrasing of the condition. Complex sleep apnea occurs when someone who previously had obstructive sleep apnea develops central sleep apnea due to the use of treatment with continuous positive airway pressure (CPAP). This is a lot to unpack, so let’s dissect the terms here. First, obstructive sleep apnea occurs when the upper airway (or throat) collapses during sleep. This can trigger drops in the blood’s oxygen levels as well as arousals or awakenings from sleep. Based on a diagnostic sleep study called a polysomnogram, this condition is present when there are five or more obstructive events occurring per hour of sleep. These airway collapses may go by various names, including obstructive apneas, mixed apneas, hypopneas, and respiratory-related arousals (RERAs). Once obstructive sleep apnea is identified, the most common and effective treatment is the use of CPAP therapy. This treatment delivers a constant flow of air through a facial mask. This additional air keeps the airway from collapsing, or obstructing, and also resolves snoring. In some cases, it may trigger changes in breathing that result in breath holding, a condition called central sleep apnea. By definition, complex sleep apnea occurs with the use of CPAP treatment. Obstructive events resolve and central apnea events emerge or persist with therapy. These central apnea events must occur at least five times per hour and they should constitute more than 50% of the total number of apnea and hypopnea events. Therefore, if you have a total of 100 apnea events noted while using CPAP therapy, and only 49 (or more likely fewer) are central apnea events, you do not have complex sleep apnea. It is very common for some central apnea events to emerge, but they may not require any additional intervention beyond time. Complex sleep apnea may be relatively common during the initial treatment period with CPAP or even bilevel therapy. These central apnea events are not better explained by the use of medications (like narcotics or opioid pain medicines) and are not due to heart failure or stroke. There may be a high number of arousals from sleep and each awakening may be followed by a post-arousal central. These events are more commonly seen in non-REM sleep and may improve slightly in stage 3 or slow-wave sleep. How common is complex sleep apnea? This is actually a difficult question to answer. The true incidence and degree of persistence are not well defined, due to the fact that it often variably resolves as PAP therapy continues. 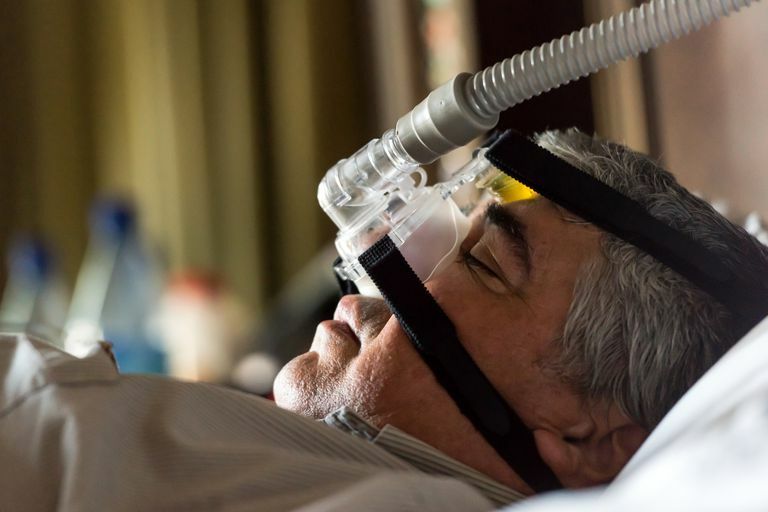 It is estimated to affect from 2% to 20% of people as they start using CPAP therapy and may be seen more often in the first or second night of use. Therefore, it may be over-identified as part of a titration study in a sleep center. Fortunately, it only persists with therapy in about 2% of people. The exact causes of complex sleep apnea are not fully understood. There may be a number of contributions to the condition, and not all are due to CPAP therapy. Some individuals may be predisposed towards the condition due to instability in their control of breathing. It may occur more commonly among those with difficulty maintaining sleep, such as with insomnia. It seems to be triggered by low carbon dioxide levels in some. If someone has more severe sleep apnea initially (with a higher AHI) or has more central apnea events noted prior to treatment, this may increase the risk. It also seems to occur more in men. It is interesting to note that other treatments of sleep apnea also seem to increase the risk of developing complex sleep apnea. Surgery and the use of an oral appliance have both been reported to trigger central sleep apnea. It may also occur if the pressures of the PAP therapy are either too high or conversely too low, as set during a titration study or in subsequent home use. Even though complex sleep apnea generally resolves over time, there are still 2% of people in whom the condition persists and there may be other consequences. Some of these people may require alternative treatments to resolve the disorder. Complex sleep apnea may be noted to persist on routine download of PAP compliance data. This will usually occur at a routine follow-up appointment with your sleep specialist in the first 3 months of use. If more than five central apnea events are occurring per hour, despite the obstructive sleep apnea events resolving, this might prompt changes. Why might this matter? Persistent complex sleep apnea associated with a high residual AHI may cause continued sleep fragmentation and oxygen desaturation. This may lead to daytime sleepiness and other long-term health effects. Importantly, this may also compromise PAP therapy: the user may report little benefit and have poor long-term adherence to the treatment. It is important to recognize that there may be night-to-night variability. In the context of your initial condition, some elevations in the AHI may be tolerated if the overall response to therapy is favorable. Though the devices can provide a rough measure of central apnea events, these are not perfect, and this may be better assessed via a standard polysomnogram. Resolution of complex sleep apnea may depend on addressing the underlying causes. For example, if the pressures used are simply too high (or, less often, too low), a simple adjustment may resolve the matter. If awakenings are occurring due to mask leak, a proper fitting may help. In some cases, it may be necessary to switch to bilevel ST (with a timed breath rate that can be delivered during breath pauses) or ASV therapy. These therapy modalities will often require a titration study to find the optimal device settings. The most prudent treatment is often the most effective: time. Complex sleep apnea will usually improve in 98% of cases as therapy continues. It may not require any further intervention beyond waiting and watching the remaining events resolve on their own. Javajeri S, Smith J, Chung E. “The prevalence and natural history of complex sleep apnea.” J Clin Sleep Med 2009;5:205-211. Lehman S et al. “Central sleep apnea on commencement of continuous positive airway pressure in patients with a primary diagnosis of obstructive sleep apnea-hypopnea.” J Clin Sleep Med 2007;3:462-466. Westhoff M, Arzt M, Litterst P. “Prevalence and treatment of central sleep apnea emerging after initiation of continuous positive airway pressure in patients with obstructive sleep apnoea without evidence of heart failure.” Sleep Breath 2012;16:71-8.